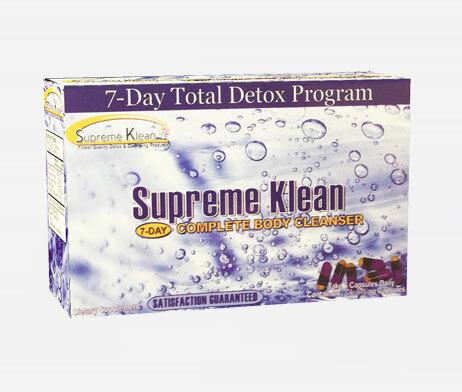 Pass your drug test with Supreme Klean Total Detox. The 7-Day Total Cleanser is designed for those who want to cleanse their blood, urine, and saliva prior to taking a blood, urine drug test or saliva drug test. This product will cleanse your system in only 7 days! The detox program includes a healthy, toxin-free diet, daily permanent cleansing capsules and proper water intake. This product is NOT a mask! It safely removes harmful toxins from your body, leaving you clean, healthy, toxin-free, and most importantly, feeling good. This intense 7-day system will totally cleanse your body, once and for all. Letting you pass your drug test. Cleansing your blood, urine and saliva of all toxins, as well as any new hair growth. Completely Clean cleanses toxins from your body and brings them to a level that is undetectable by most blood, urine, hair and saliva drug tests. Toxins that are removed will be gone forever. So pass you drug test today!